Interned for the Child Abuse Division of the Harris County District Attorney’sOffice. Presenting cases to grand jury. She tried a jury trial involving a multiple defendant conspiracy to defraud the United States with a false claims offense. After leaving the United States Attorney’s Office, Celeste began Celeste Blackburn, PLLC, a boutique criminal defense law office. 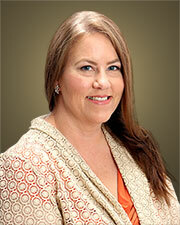 She handles all types of state and federal criminal law matters. Since 2011, Celeste has been Board Certified in Criminal Law by the Texas Board of Legal Specialization due to her experience, continuing education credits, references, documented trial and appellate work, and after passing a comprehensive, daylong exam. Celeste is currently licensed by the Supreme Court of Texas, the Western District of Texas, the Southern District of Texas, and the United States Court of Appeal for the Fifth Circuit. Additionally, Celeste has been asked to present lectures for the National Advocacy Center, the Texas Criminal Defense Lawyer’s Association, Montgomery County Criminal Lawyer’s Association, and the Montgomery County Bar Association. Celeste has also served as an adjunct professor with the Lone Star College System teaching Court Systems & Practices. She is a member of the State Bar of Texas, Texas Criminal Defense Lawyer’s Association, Montgomery County Criminal Lawyer’s Association, Montgomery County Bar Association, and the Harris County Defense Lawyer’s Association. Oma began working for Celeste in 2012 as a paralegal. She is a vital part of our law office. She holds a paralegal certificate from the University of Houston, a Bachelor of Arts in History from the University of Houston, Clear Lake. Oma Wilson grew up in rural east Texas near the town of Van. She spent much of her early adulthood traveling and living in different states: Arizona, California, South Carolina, Vermont, and Alaska. She also lived in South Korea. She enjoys travel and writing. After high school she enlisted in the U.S. Army, where she graduated from the Defense Language Institute. After her service in the military, she returned to college and received her undergraduate degree in History from the University of Houston, Clear Lake. She won 1st place in impromptu speaking at State competition for Phi Beta Lambda. Has poetry and an essay published in Lagniappe at Tyler Junior College and in An Anthology published by Abydos Learning. In 1997, she went to work for Interlaw, an international association of independent law firms. Assisting onsite with conferences in Istanbul, Turkey and Seattle, Washington. In 2011-2012, she was campus teacher of the year and runner up for District Teacher of the year. After years of telling students to follow their dreams, she returned to her first love, law. She won a Houston Association of Legal Professions scholarship and earned a paralegal certificate from the prestigious University of Houston, Paralegal Program. She graduated in the top 10% of her class (3rd) and interned with a Bellaire law firm. In 2012, she began working for the Law Office of Celeste Blackburn. Oma continues to improve her skills as a paralegal by working closely with Celeste in the office and attending CLE’s. She hopes to take her board certification test as soon as she has the required number of years working in the criminal law field. Celeste Blackburn is dedicated to protecting your rights and seeking the best possible resolution to your state or federal criminal law matter. 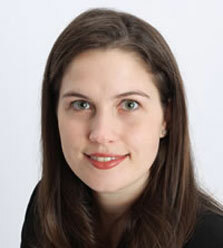 Celeste focuses her practice exclusively on criminal law matters. As a former Assistant District Attorney in Harris County, a former Assistant United States Attorney, and as a criminal defense attorney Celeste has gained extensive knowledge of the judicial system to provide you the best representation available.